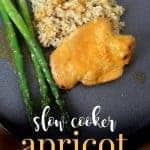 Just when I think I am ready to kick meat to the curb, along comes one of those healthy recipes like this easy slow cooker apricot chicken that makes me forget all of that. Hubba what? I’m not giving up meat! Are you crazy?! This dish was soooo easy and simple and I will definitely make it again. 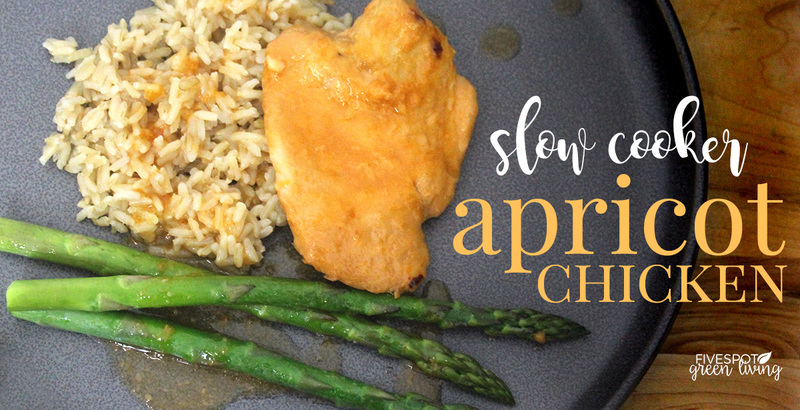 This slow cooker apricot chicken recipe is so easy it actually WANTS you to use frozen chicken from the freezer. 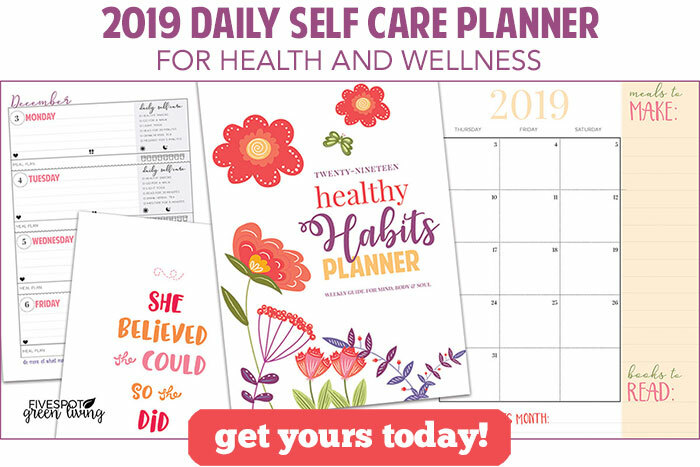 Forget thawing and planning. Just make sure you have some apricot preserves, a good slow cooker and you are good to go. 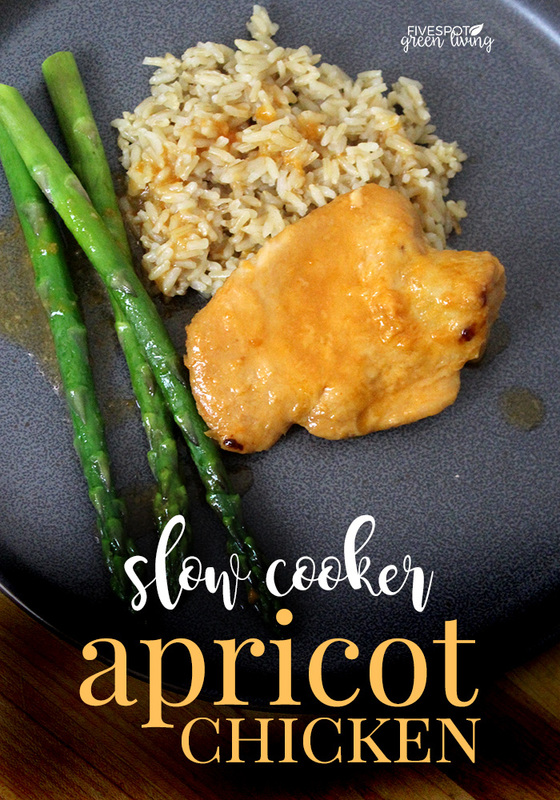 I found one recipe similar to this easy slow cooker apricot chicken that called for lots of packaged stuff but I went natural and all the dirty dishes were licked clean before they went into the dishwasher – and we all know this is the more energy-efficient way to wash dishes. I just love it when I find a recipe that my most picky 10 year old will eat. It seems all she wants to eat are waffles and eggs. Not terrible options, but not the best options for a growing gymnast, either! In 3-4 quart slow cooker, arrange chicken pieces. Mix remaining ingredients in a medium bowl and pour over chicken. Stir to coat. 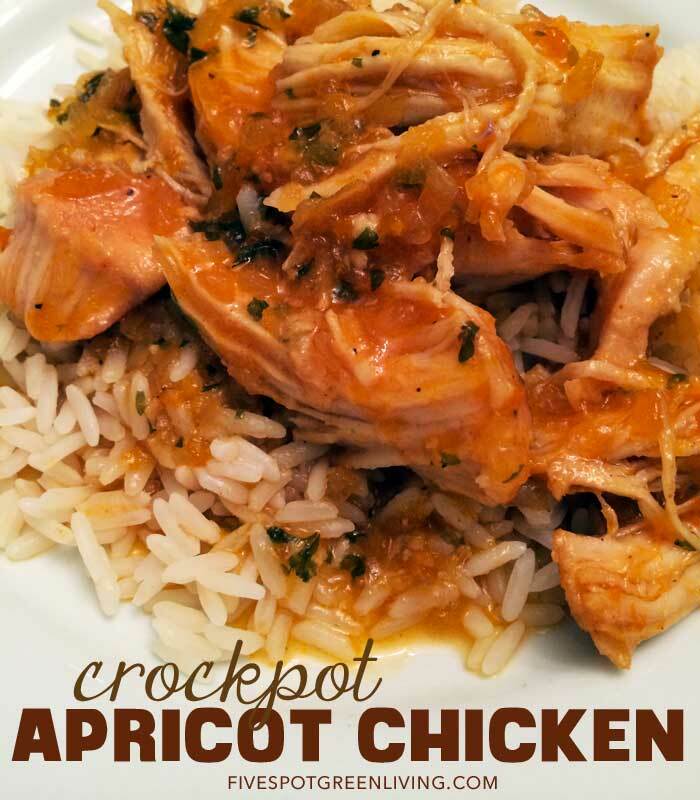 Cover crockpot and cook on low for 6-8 hours or 3-4 on high until chicken is thoroughly cooked and tender. Serve with hot cooked rice or pasta. Try these other meals this week as well! I haven’t made this is awhile so it’s due – such a quick and healthy meal for a weeknight. This sounds incredible. Thank you for sharing the recipe. This was my first time having apricot chicken and I loved it! 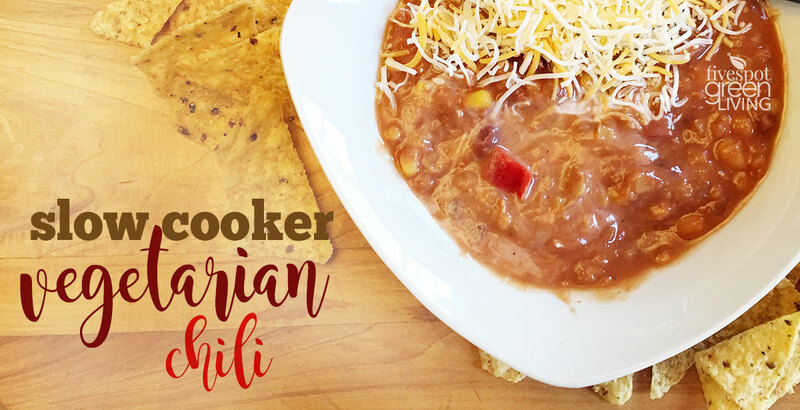 Great combination of flavors and so easy to make! Thanks! What an easy dinner! I love it. I didn’t realize that you can put frozen chicken right in the slow cooker. That just changed my life. 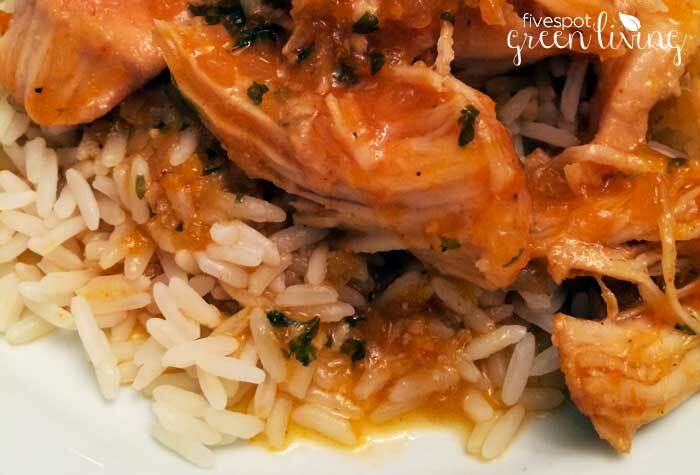 I love apricots, and I love this sweet-and-savory chicken dish! Such pretty color, too! That looks yummy and sounds tasty! I’m always looking for new ways to prepare chicken. Pinned. I love apricots but I’ve never had it on chicken. It sound fabulous! Thank you for sharing at the What’s for Dinner Party – hope to see you again this week! Yum! This sounds great! So happy you could share it with us at Fiesta Friday this week! Your Apricot Chicken looks delicious! Hope you are having a great week and thanks so much for sharing your awesome post with us at Full Plate Thursday!